If any person is ashamed of me and my teaching, then I will be ashamed of that person. I will be ashamed of that person at the time I come with my glory and with the glory of the Father and the holy angels. I tell you the truth. 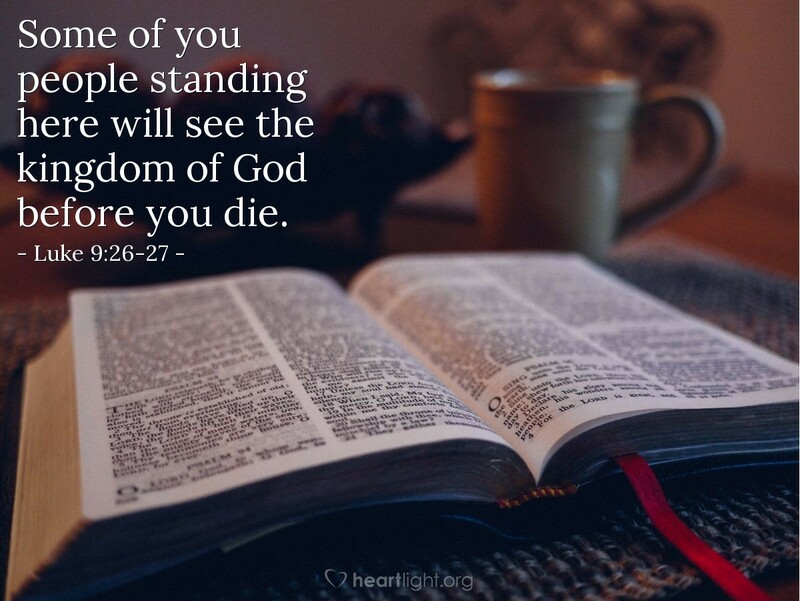 Some of you people standing here will see the kingdom of God before you die." Give me courage and boldness, O God, that I might always demonstrate my allegiance and my love for the Lord Jesus and for the sacrifices he made to claim me as your child and his fellow heir of all that heaven offers. In Jesus' name. Amen.